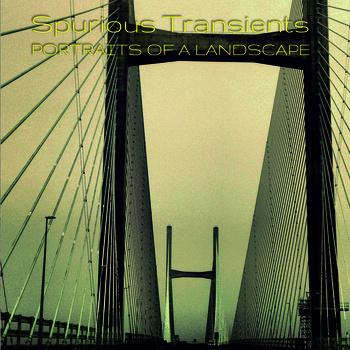 Regarding the theme of the album I’ll quote from the promo sheet: Portraits Of A Landscape is a collection of musical pieces inspired by the Welsh countryside where the ancient landscape is juxtaposed against contemporary industry. The album is split into two distinct halves with tracks 1-5 reflecting the industrial landscape, while tracks 6-9 celebrate living alongside nature within the Welsh countryside. Baglan Bay opens the set and “The Industrial Landscape” portion, consisting of soundscapes, drones, space effects and an electro combination of Hip-Hop and Dub grooves. Modus Operandi is next and quite different, sounding like Can in high energy song mode. The rhythm section pounds away at a potently relentless but cool grooving pace, accompanied by a bee swarm of effects and is coaxed along by a hypnotic guitar melody, and in the last minute winds down in alien electronic mode. This bleeds into Conveyor, a short but busily intriguing blend of electro dance floor grooves, haunting symphonic keys, and effects. The appropriately titled Industry/Catastrophe follows and combines machine shop rhythmic clatter, multi-lingual voice samples and melodramatic soundscape/drones and pulsations, making for a provocative mixture of disparate elements. We’re also treated to a Baglan Bay remix by Marko V of Salakapakka Sound System, which I like even better than the original, with its claustrophobic and darkly intense atmospherics, peppier rhythmic pulse and jarring effects. The mood changes dramatically with the “In Harmony With Nature” segment of the set, starting with Under The Same Stars, a beautifully haunting song with vocals and lyrics by the mysteriously named Ghost Dust, who adds a Kate Bush feel to the tune. I like the spaced out sitar-ish drone that adds a Psychedelic Indian vibe, which is soon overtaken by an off-kilter rhythmic clatter before the song takes over again for the finale. The Parrog is a short piece that begins with a string section orchestral and sounds of nature blend, that soon transitions to searing deep space electronica. This serves as the intro to Glacial Express Way, which is a soaring slab of cosmically majestic beauty, with drawn out melodic and deeply anguished guitar licks, cavernous but nonetheless heavenly atmospherics, and a stumbling yet measured industrial rhythmic pulse with an overall interstellar vibe. And wrapping up the set on a New Age note is Poppit, which though it lacks vocals is very much a song, with a lovely dual (or looped) guitar melody, a throbbing yet melodic bass, gently tinkling bells, and the sound of waves crashing against the shore to adds just the right meditative support. In summary… well, I don’t know how to summarize this. There’s lots of variety, even among the album’s two stated themes. What strikes me most is the contrasting elements that join forces in ways that don’t blur the lines between them but, rather, make the parts and pieces stand out while somehow fitting together in interesting ways. I think Wilson has well absorbed his various stated Krautrock influences and synthesized them into something very much his own.